Oklahoma City, OK — Police officers assaulting or even killing deaf people for being unable to hear their commands is a tragic reality. Pearl Pearson Jr. has learned that reality the hard way. 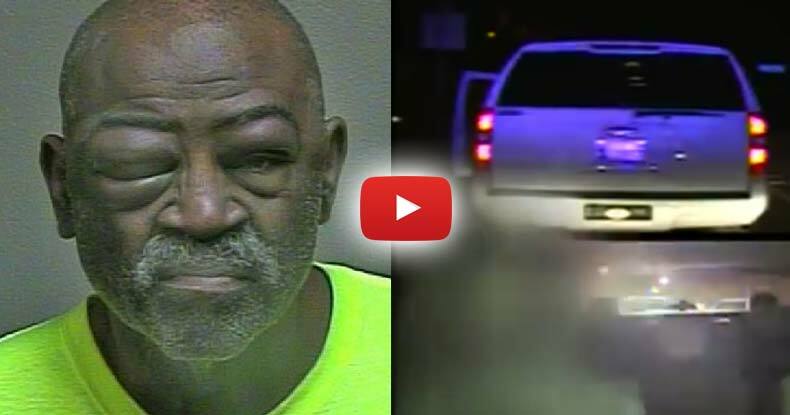 For nearly seven minutes, Pearson, 64-years-old at the time and diabetic was beaten and arrested by police officers as they yelled at him to stop resisting. Oklahoma Highway Patrol officers, Eric Foster and Kelton Hayes were the two officers that were involved in what an affidavit claims was a 7-minute altercation. When the original incident happened on January 3, 2014, police refused to release the video. However, weeks later, after the media frenzy died down, police quietly released the dashcam. The disturbing video shows troopers yelling at Pearson and drag him from the vehicle. He was dragged from the vehicle in spite of the fact that he did everything he was supposed to as a deaf driver, according to his family. According to Pearson’s family, Pearl pulled over and rolled down his window expecting an officer to ask for this identification. An officer struck him in the face before Pearl had the chance to do anything. The photos of his swollen and bruised face clearly show the result of the police action. Finally, after 3 years of holding it over his head, the District Attorney’s office decided to drop the charges. However, they dropped the charges, not because they thought the cops were in the wrong, and not because they thought Pearson was innocent. In fact, neither of the cops involved in beating a deaf man for being unable to understand them has faced any discipline at all. The sole reason the case was dropped was because the trial cost was too high. Pearson, who learned sign language during segregation, learned a different way of communicating other than the traditional American Sign Language (ASL). He needs a translator for court officials to understand him. Because the cost of translators was so high, the DA decided to toss the case out. The DA announced this week, that Pearson would no longer face the charges. Below is the video of this glaring incompetence.